Huawei Consumer Business Group South Africa has made available its newest phone in its Y-Series range. The Y6II comes with stunning features including the 5.5 screen HD – Bigger screen, broader world, a 13MP Front /8MP Rear Camera. Consumers can expect a wonderful photography experience with built in photography features such as cosmetic mode, panoramic mode, food mode and perfect smile. “We continue to offer consumers options in a variety of price points and our entry levels phones play a critical part in our business growth. As Huawei we believe that we produce phones of high quality, with our Y-series, we have a camera that allows consumers at entry level to experience our phones ,” said Mr Zhao Likun, GM Huawei Consumer Business Group South Africa. Don’t let anything slip away. 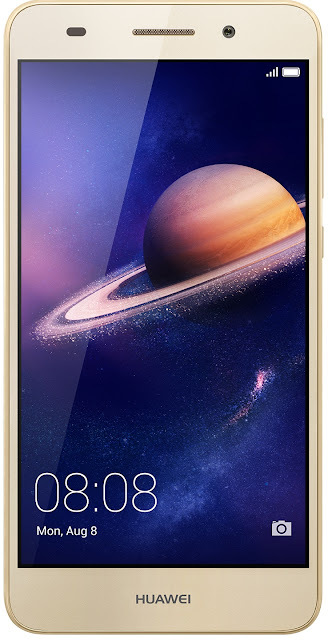 The rounded curves of the 5.5-inch Huawei Y6II were designed for easy one-handed use, offering the greatest display size, best design and greatest comfort.